The Burmese state-owned arms manufacturing wing Ka pa sa Industries (Defence Industries) has a long history of working within limited resources to meet the operational requirements of the Tatmadaw (Burmese Military). Operationally this has been seen in the cycle of retiring Tatmadaw small arms to national police forces where they often continue to see service, many years after they have become obsolete elsewhere. On the industrial and manufacturing side of the house, this has been seen through the lens of adapting surplus arms to outfit modern components or firearms themselves. This No.4 Lee Enfield that has been turned into a dedicated rifle grenade launcher is just such an example of that concept in practice. Today the launcher featured in this essay lies on display in the Defence Services Museum in the Burmese capital of Nay Pi Taw where any visitor to the museum can view it on display. 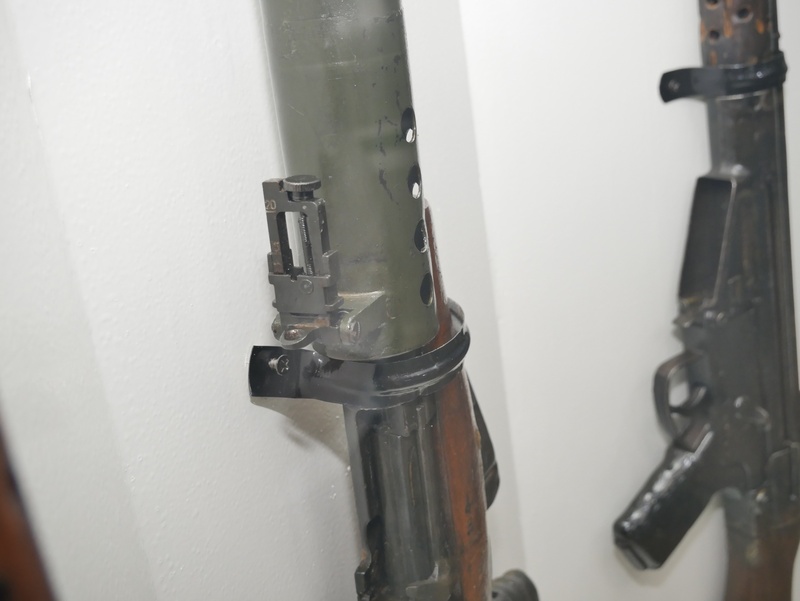 Before we dive into describing the rifle grenade launcher we would like to extend a gratitude of thanks to the staff of the Defence Services Museum for allowing TFB to visit in an official capacity and research Burmese small arms.